Bitcoin, like the internet, is as simple or as complex as you would like it to be. You can use the internet simply to google information, or you can unpack the complicated algorithms that make up the web strands. You can surf, or you can design websites; you can tweet or blog, or you can write code. Similarly, you can buy a bitcoin or two, or you can invest in hardware and download software to turn your computer into a bitcoin “miner”, searching for the secret codes that create bitcoins. 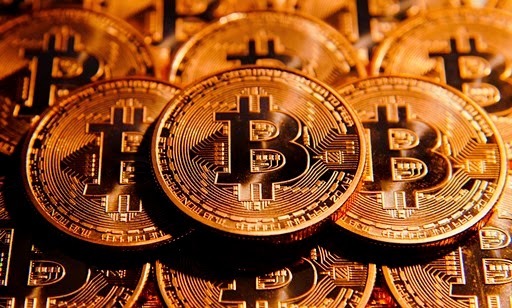 Bitcoin is a “crypto currency” – in other words, as defined by Investopedia, a digital or virtual currency that uses very complex cryptography for security and is thus difficult to counterfeit. Cryptography is the art of encrypting text, or changing it into an unreadable format. But as with most computer processes, understanding how it is done and the maths behind it is unnecessary. Once you realise this, Bitcoin becomes less of a monster and more of an interesting way to make a bit of money. Many see it as a flash in the pan, a high-risk venture doomed to failure. Others see it as the future, a technology of enormous promise. Bitcoin was launched in 2009, the first digital medium of exchange at the time, but now one of many (others have names like Ripple, Litecoin, Peercoin and Namecoin). Being digital, these currencies can be transferred instantly and securely, with no, or very low, transaction fees, between any two people anywhere in the world. Think of it as electronic cash that you can use to pay for goods or services, or give to friends or family, without having to pay the bank to do so. Physical bitcoins do exist, with a number embedded in them, but ultimately, a bitcoin is just a number associated with a bitcoin address. The “mining” that creates them uses PC processing power to solve complicated cryptographic problems that get progressively harder to crack as time goes by. This is the geeky, maths bit. But even computer novices can do it, using software that is free to download and run and which can be left to run 24/7 in search of the magic code that will unearth more bitcoins. Obviously, the more powerful the computer, the more chance there is of reaping a reward in a given time. When a computer mining bitcoins hits the jackpot (after 1 789 546 951 attempts, on average), a box appears on the screen confirming that all the code crunching has produced, not one newly minted bitcoin, but a block of 25, because bitcoins do not emerge singly. At the moment, a block is being found by some computer every seven to eight minutes – which gives you an idea how many people are mining them. Bitcoin is a breakthrough in computer science, after decades of research by cryptographers. The first person to propose a currency that would be controlled by cryptography, rather than a central bank, was a man named Wei Dai in 1998. The “invention” of Bitcoin itself in 2009 is attributed to one Satoshi Nakamoto, who left the project in late 2010. Not much is known about Nakamoto and in Japan the name is as common as John Smith, so it is believed to be a pseudonym. But despite this shadowy start, the Bitcoin software is “open source” – that is, published openly and freely with a licence that allows anyone to use and distribute the software to others. Consequently, no one controls the technology – much as nobody owns the technology that enables email. Users are free to choose which software and which version of the software to use, which means that developers can’t force a change in the Bitcoin protocol. The first Bitcoin faucets were designed as promotional vehicles to get people interested and involved in Bitcoins back when a Bitcoin was worth a few pennies. A few people who had tons of Bitcoins that weren't worth much at the time thought that if they got them into the hands of more people, it would generate interest. There are websites that pay out "free" Bitcoins for visiting them or doing tasks. They're called Bitcoin faucets, and they're a great way for you to get into Bitcoins without mining or exchanging. Next move onto the account section placed at the top right corner and a similar page like below will open. Here you've to put your email id and bitcoin address but to generate the bitcoin address first you need to visit coinbase and after signing up there you'll have your bitcoin address to your email id.If you're having trouble to sign up with coinbase.com to get your bitcoin address you may also visii blockchain and sign up there.Now you've your bitcoin address. Next you just need to put your bitocin address there along with your email id and click the save button.That's it.your landofbitcoin account just created fully. Now you've to visit the home page of your landofbitcoin sites and there you'd find various ways to earn bitcoin but we'd recommend you the first one as per the below image as they are most easy and fastest way as well as they don't need any investment. Under 'collect free bitcoin from faucets' section you'll find various sites where you just need to visit and clear the capcha to get free bitcoin.One of the best sites under there is moon bitcoin You must visit that cause they will give you satoshi in free as per time. NOTE:You've visit those sites atleast one per day and clear the capcha cause they often reduce the free Bitcoin amount to irregular visitors. How to Sell Bitcoin and Earn Real Money? If you're earning bitcoin visiting faucet the total amount of earned bitcoin will automatically store onto your coinbase or blockchain account on every sunday,using which you made the sign up.You'll also get a mail notification on your email id too.Under there you'll find a 'my wallet' option and there you can see the total amount of your bitcoin you've earned.Under that account you've also a sell option.as soon as your bitcoin reached the threshold amount.So then you can choose whether you're willing to sell it or should keep it on your account and wait for a better price. Bitcoin is a revolutionary invent of computer science which could be the future currency of our world.So be updated with this digital currency and earn real money to improve your financial conditions with bitcoin. wow!! Never heard of Bitcoin before,., Good to know and learn it from here. Bitcoin could really change how we purchase online. It feels safer. A friend of mine was just telling me about digital currency, and how Bitcoin is starting to build its presence in the Philippines. Very interesting. This is amazing!!! Bitcoin is an innovative payment network and a new kind of money. I've seen posts about Bitcoin before, I think it's like Paypal but there's a difference on the process.